Located at a distance of 7 km from the center of Chania city on its south-east, Souda is offering you only the best opportunities to love this blessed island! Souda, the largest natural bay of the Mediterranean sea, will make you fall in love with the island of Crete and will give you only the best memories for you and and your family and your friends. 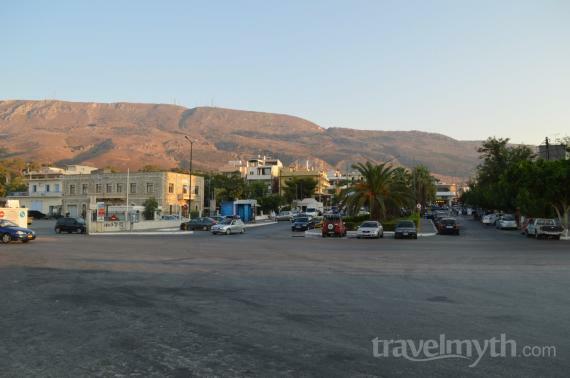 Souda is one of the closest villages to Chania town and is the second biggest port of Crete from where daily ferries connect the Souda to Piraeus-Athens making travelling easy and comfortable. Souda, one of the most amazing places in Chania provides you all kind of accommodations and entertainment and you will find daily transportation to Chania in order to satisfy your needs. Take your time to explore this amazing area and visit the interesting surrounding region that is considered one of the bigger ports of the Mediterranean. Due to this geographical place it has always been a strategic point. However when in Souda you need to be able to find your way around the area and explore its beauty. Visit the Fortress of Itzedin, 9 kilometers eastern to the town, by the village Kalami or walk around the picturesque little streets and enjoy the most unforgettable tastes in a wide variety of Greek taverns and restaurants. Besides if you wish to visit the center of Chania or take your coffee at the old town you will very easily be able to move to Chania and enjoy your day there. From a great variety of traditional shops selling anything you can think of to touristic shops and shops selling original Greek products, Souda is considered to be one of the most interesting places to visit during your stay in Crete that will remain in your memory for ever. Find information about selected Hotels, apartments and rooms in Souda to choose the perfect place for your accommodation.